In the era of Smart devices, we have Smartphones, Smart TVs, Smart Fridges, and even the Smart cars! We have made our life very easy and comfortable by providing the master control of every task to such smart devices. But imagine if an attacker wants to take revenge or hurt someone, now they can hack your car, rather failing breaks in the traditional way. Sounds Horrible ! 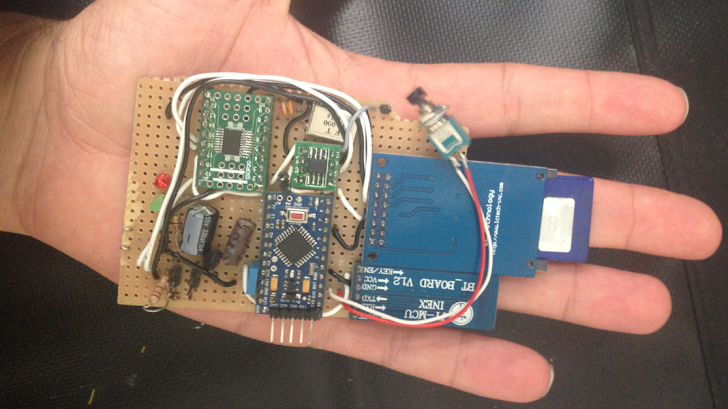 WELL, Two Security researchers - Javier Vazquez-Vidal and Alberto Garcia Illera have developed a home-made gadget called 'CAN Hacking Tools (CHT)', a tiny device smaller than your Smartphone, which is enough to hack your Cars. The Kit costs less than $20, but is far capable to give away the entire control of your car to an attacker from windows and headlights to its steering and brakes. The device uses the Controller Area Network (CAN) ports that are built into cars for computer-system checks, and draws power from the car’s electrical system. Injecting a malicious code to CAN ports allows an attacker to send wireless commands remotely from a computer. Once hackers take hold of this network they can control lights, locks, steering and even brakes. They have already tested their CHT device on four different vehicles and successfully did tricks, including applying Emergency brakes while the car was in motion that could potentially cause a sudden stop in traffic, switching off headlights, setting off alarms, and affecting the steering. Till now their device is capable to communicate via Bluetooth only, which is limited to minor range, but soon they will upgrade it to use a GSM cellular radio that would make their device possible to control from miles away.